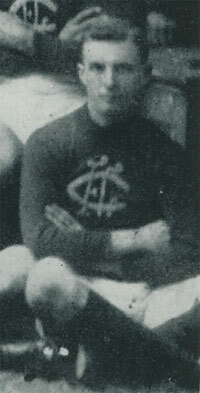 Wearing guernsey #15, Howe played 8 games and kicked 2 goals after first pulling on the boots for the Blues in Season 1918. Howe was born in Rushworth, and recruited from Teacher's Training College. Contributors to this page: blueycarlton , Bombasheldon , molsey , tmd1 , WillowBlue , Jarusa and admin . Page last modified on Thursday 27 of November, 2014 08:28:49 AEDT by blueycarlton. 1994 Rd 22 - Brett Ratten & Chris Lewis.